A modern minimalist high gloss white mid edge basin vanity unit with a back to wall WC unit is perfect for any bathroom. 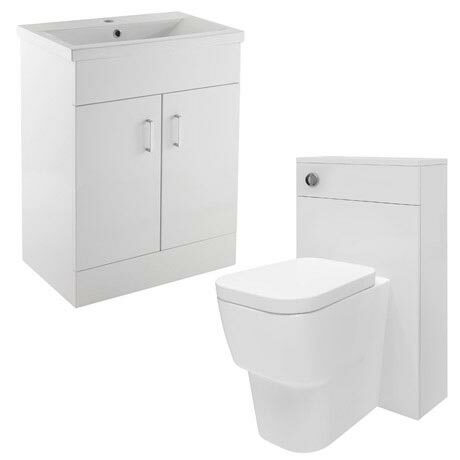 The Minimalist High Gloss White Vanity Unit comes with dual flush concealed WC cistern and a stylish soft square design toilet pan with a toilet seat. The WC unit has a removable front panel which can be drilled for right/left hand or front flush. All white gloss vanity units feature a high quality 1 tap hole ceramic basin. 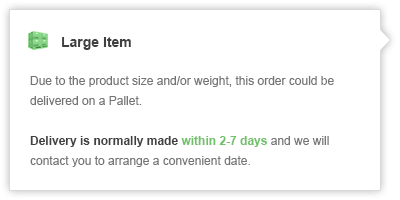 Comes with 5 year guarantee. Please note, bathroom suite comes as 2 separate units. All back to wall units supplied rigid (not flat packed). Seat Type - Soft close.